Our firm size allows us to provide the type of personal service which we believe our clients deserve. Rebecca’s experience in the real estate law practice also allows her to provide a wealth of knowledge which other small firms may not offer. Buying a home: Protect the largest financial investment you will make. 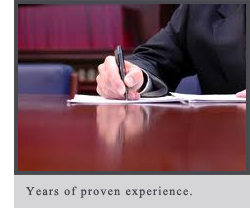 Have a competent lawyer examine the title to your new home and conduct your closing. Buying commercial property: We have extensive experience in representing buyers and sellers in all types of commercial or investment properties. Whether it is an office building, shopping center, farm land or family land, we can help. Planning a single family subdivision, PUD or condominium project: We can prepare your restrictive covenants, operation and maintenance agreements for stormwater facilities, incorporate your owner’s association, and help smooth the way for governmental approvals.